Although this business was started 31 years ago by Kevin and Raewyn Johnson, plumbing has been in our family for a very long time. Initially from the Hauraki Plains I worked for my father who owned the local plumbing firm in Ngatea. My father learnt his trade from his older brother and his father – my grandfather. 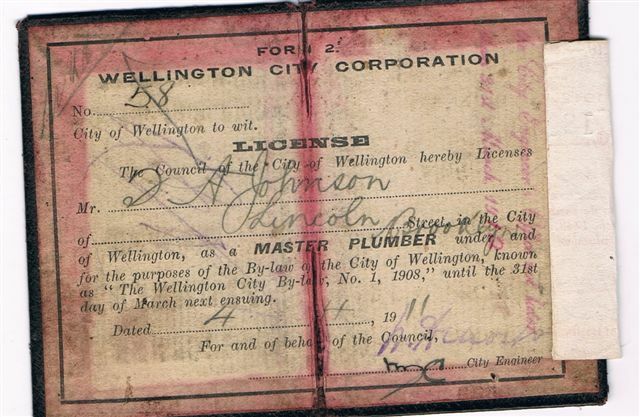 Interestingly enough we have my grandfathers Master licence dating back to 1911. With my two sons now licenced plumbers and drainlayers working along side me in PlumberMan, it means we stretch back four generations in the industry. I have tried to run the business in a family way with family values as my guide. Raewyn and I work together in the business. We arrive at work together at 7.30 and finish at the same time. That is the way it has been for all of our business life. We try hard to have our plumbers think the same way and treat our customers with the utmost respect. We try to show we care about the particular plumbing issue, give good advice, and try to own the problem and solve it as we would if it was our own. The people that work for us have been here a long time. We have a great relationship with each one of them and it is because of this we feel we are able to provide a superior customer experience. We have several here that have passed or are approaching 20 years of service, and we are extremely proud of this achievement for PlumberMan and for the individual team members. I think this in itself is a very satisfying endorsement of PlumberMan’s position in the market place. We feel if our team are a happy team the results most of the time will be a happy customer experience, and we are very much aware that we are required at the most in opportune times so a friendly face is most often appreciated. We try hard to have the right person answering the phone. We think the initial phone call is very important; to be able to give the right advice, right from the start. Having somebody answer the phone that knows plumbing makes a big difference. Our staff understand exactly what we expect, quality of work is important but equally important is the ability to chat with the people about their problem. This means discussing ways of solving the issue at hand and showing our expertise in resolving their problem. 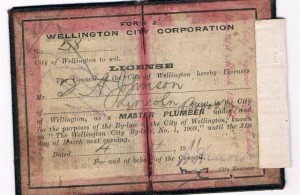 PlumberMan (Tauranga) Ltd concentrates on three aspects of the plumbing industry. Our staff are mostly long standing members of the team. We have a special relationship with all of them. There are PlumberMan businesses in Rotorua and Hamilton which are being successfully run by long standing collegues both of whom spent many years working with us in Tauranga. Whilst their businesses carry the same name they are individually owned and operated. We have a very comfortable relationship between us all and support each other with ideas and assistance where required.